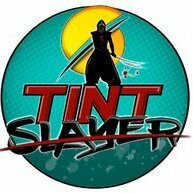 Tint Slayer had the most liked content! Didn't do any work yesterday and today, relaxed and took it easy. A perfect 71 degrees out yesterday. Hung at a winery with my GF, we had some really kickass good food then laid on the grass for a while and relaxed (the winery had a band playing outside! ), got some sun, heard some tunes. Was a really really good day. I'm going to have to start doing this more often, it feels like i only know how to work sometimes. Oldie but a goodie and most asked. My opinion follows: For a spraymaster size bottle, which is about a quart/liter. Using Joy Non Ultra (i also use Dawn Simply Clean, real slippery chit) 8 mls per quart/liter for sides 12 mls per quart/liter for back glass (i need a little more slip for my install. i'm not super fast) i use multiple bottles, also have another bottle for cleaning only using Dawn 4X Platinum. Reasoning being the slip has the weakest cleaning (acidic) content, but still has all the good slip. The rule of thumb with slip is one ounce per gallon, it's more like a starting point for you to find depending on factors like the film your using etc. An ounce is about 30 mls, so a quart would use a quarter of that being 7.5 mls. So start with 8 mls per quart. It seems to work. Yes i overthink things to death. Facebook is a cancer, it's more anti-social than social networking, it makes everyone argue. I had to get off it a few months back, between the politics and the trolls it's not fun anymore at all. Right? It always felt like the GW could've been enhanced at some point of it's long existence. 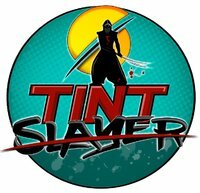 The EZ-tint i use often, i very rarely take a panel off. My view is the less you take apart and disrupt the better, bottom load and 2 stage both have their extra time for either panel work or extra time for tucking bs, with this i do neither. I'm liking it. I bitched about the price when it came out, i paid $70. Call Xpel, they'll register you and i believe that gives you the price of the Xpel customers. Oh shweeeet i had suggested that to Dean when it came out and i bought the EZ-tint (i've been off FB for months), he probably had it in the works, that dude is on top of chit and if he's part of the project, like this tool and his tint patterns on DAP, you'fe going to get a quality item. If i can't just pull back the top and pull the seal out easily, i use the Xpel EZ-Tint tool to bottom load. I used to use the Gasket Wizard every now and then but one day i tried this, another new tool, and actually liked it instead of just being distracted by it (you know the deal with that lol). They should make a small, mini or short 6" version with more bend for tuckers because the notch on the ends open the vertical rubber pretty decent when needed.